Learned just this weekend that my friend Rich was uprooting his store and moving to greener pastures down the block, in a new, bigger retail space. 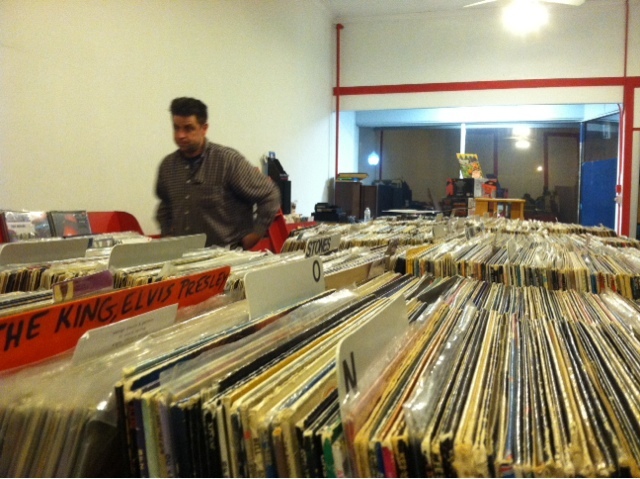 With the prospect of molesting 1000s of pieces of his vinyl, I immediately volunteered to help. When I arrived, the heavy lifting was done - everything had been moved. However, a vast number of records now had to be organized and moved from cardboard boxes and into their bins. This is where I excel. Rich and I worked together with minimal interruptions for a solid three hours. Having decided that things were at least good enough to open the store Tuesday morning (cue the Moody Blues), we called it a night. 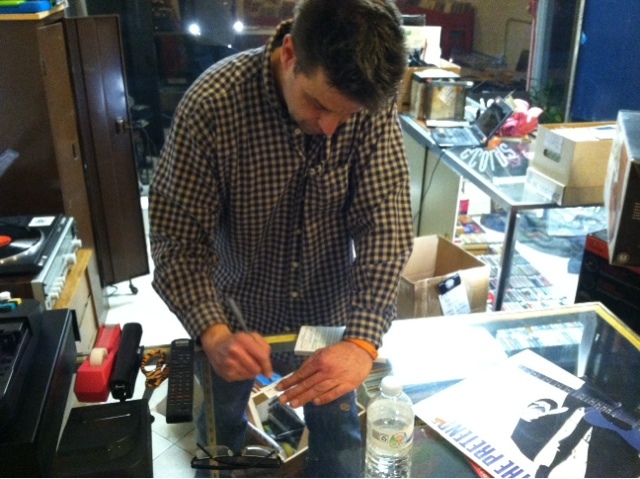 But not before I was honored to make the first purchase at the new location. 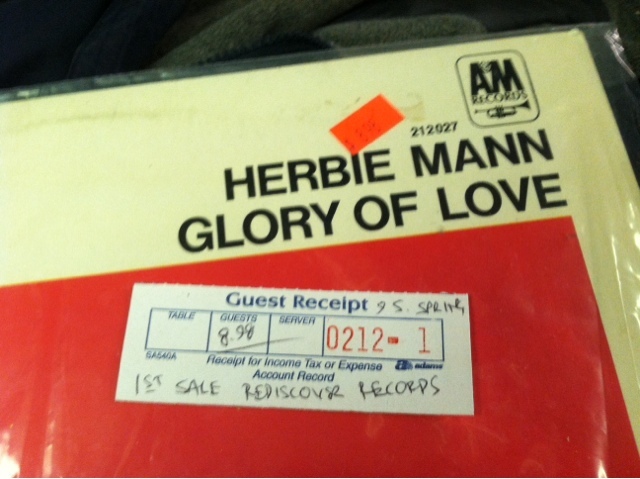 'Glory of Love' by Herbie Mann, a record I had coveted since my initial visit a month ago and the catalyst that caused me to become informed of Rich's transplant. It's a special experience to be involved in the move of a record store - it's a life lesson to be forced to quickly and accurately organize boxes and boxes of records. I've been training for a long time. Thanks Rich. Found this pic on the Rediscover Records Facebook page and swiped it for posterity! 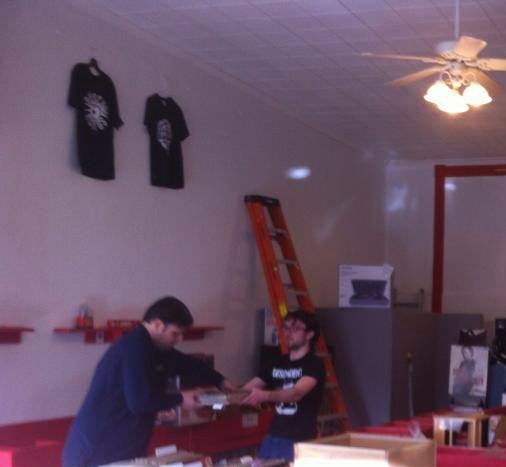 Action shot - Chris and I shoveling the records like no tomorrow! Rich is so sneaky I had no idea he took this! Rediscover Records has moved just around the corner from the old Chicago Ave. address - it is now located at 9 S. Spring St., just about a half block away. Stop by today! Sounds like fun. Glad the record you've had your eye on was still there!